Duty of care — A reasonable person is held to a legally recognized duty of care. This means, a person must prevent reasonable harms to another by their actions or inactions. Breach of duty — A defendant breaches this duty by failing to meet the standard of care. Based on the circumstances, this could mean a failure to warn, failure to keep the plaintiff safe or by behaving in a way (conduct) that caused the plaintiff’s injury. Causation — Causation is often the most difficult element to prove. The defendant must have been the direct or proximate cause of the plaintiff’s injuries. Generally, a “but for” test is used to show causation. The plaintiff’s injuries would not have occurred if it hadn’t been for the defendant’s behavior (action or inaction). Damages — The plaintiff must show that due to the defendant’s breach, he or she suffered harm and incurred loss. If each element is established in the plaintiff’s case, the court may award damages for losses. Most damages awarded are compensatory in nature. They are to compensate the plaintiff for actual losses incurred or suffered. The court will consider many factors when determining the amount of compensatory damages. The factors may vary depending on the specific facts of your case. Some examples may be pain and suffering (physical and/or emotional), lost wages, medical expenses, future medical treatment, loss of consortium, loss of household duties, loss of quality of life, disfigurement, disability and loss of parental guidance. Furthermore, some jurisdictions may award punitive damages, in addition to compensatory damages. 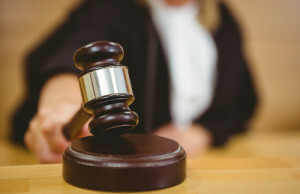 The judge or jury may award the plaintiff punitive damages to punish the defendant for his or her conduct. Usually, the conduct must have been especially atrocious or shocking. These type of damages are also intended to discourage others from the same behavior. The type and availability of damages may depend on the facts of your case and the applicable law in your state. Our Los Angeles personal injury attorney will be able to tell you more about damages. Our experience with this firm has been beyond exceptional. Despite the transition of new attorney and new case manager, everything went smooth and as planned. The best of all was the communication between Alexa and my wife. Thank you! We are very pleased and will always recommend this firm!